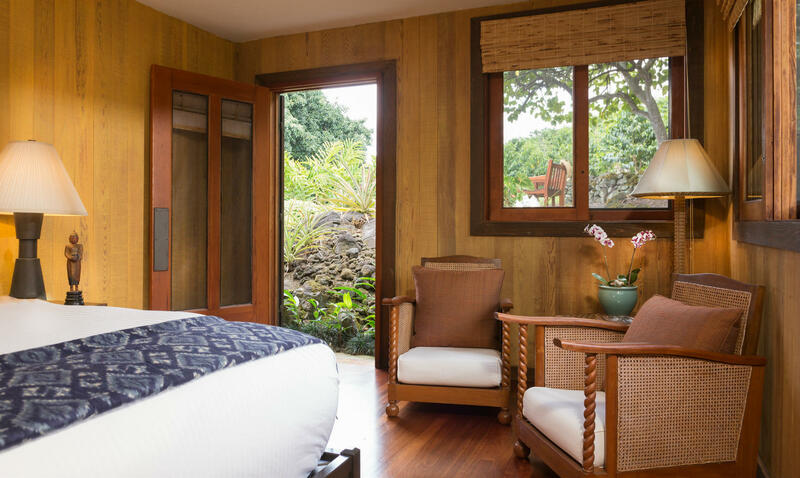 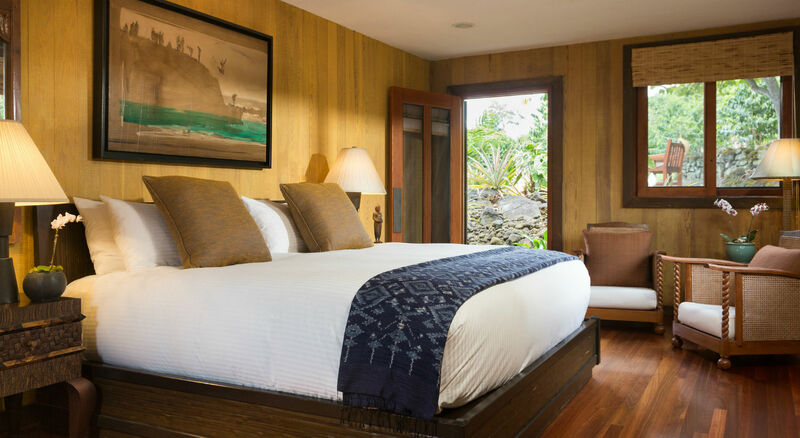 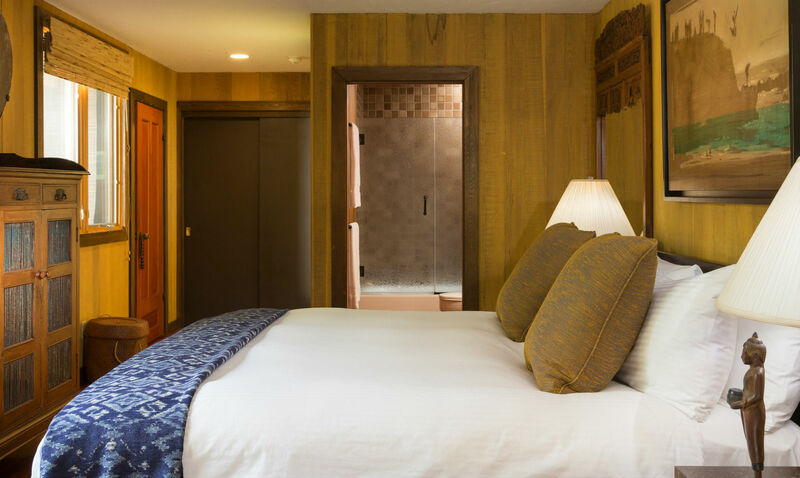 Adjacent to the pineapple garden and surrounded by coffee trees, this beautiful room at our bed and breakfast opens up to a private hot tub spa and a tropical backdrop of Hawai’ian flora. 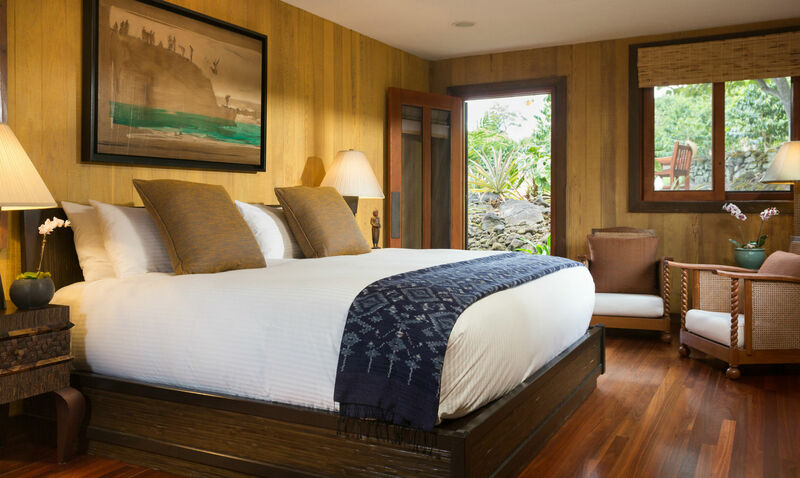 Includes king bed, sitting area, private bath with tub/shower, private hot tub spa, garden views and private sitting area for sunset viewing. 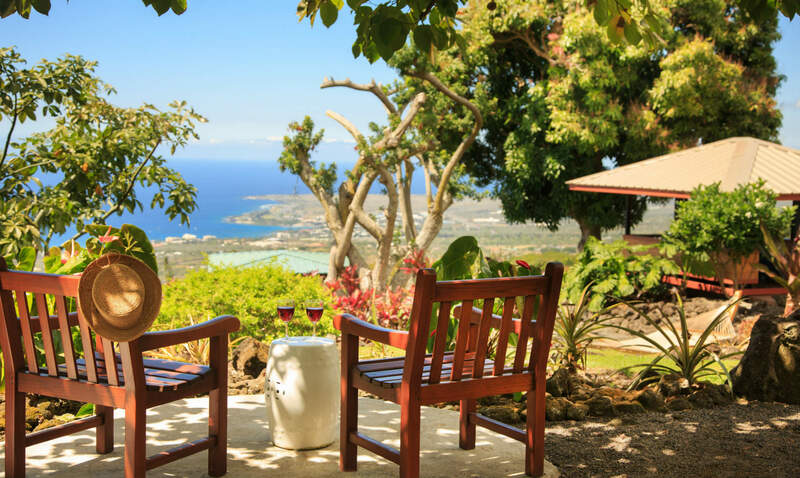 Join us on the Big Island for a romantic getaway to remember! 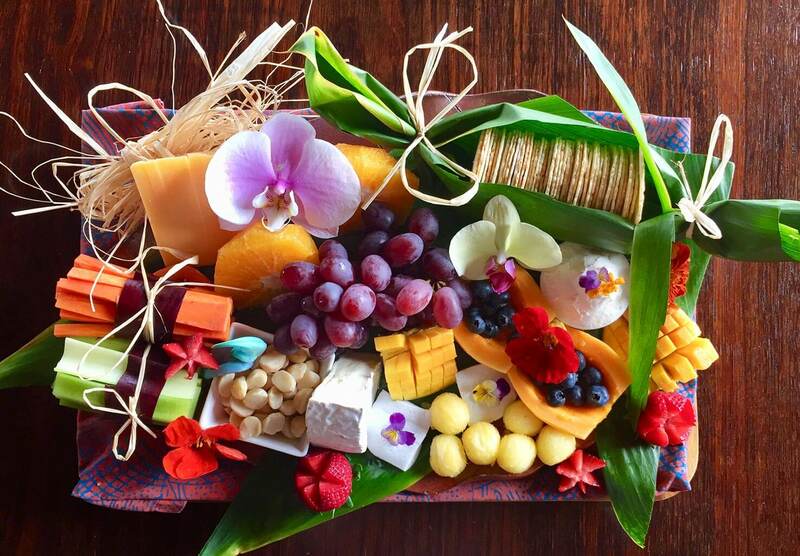 Arrive at the Inn to a traditional Hawaiian Lei greeting, your bed decorated with silk rose petals, and a Fruit and Cheese platter. 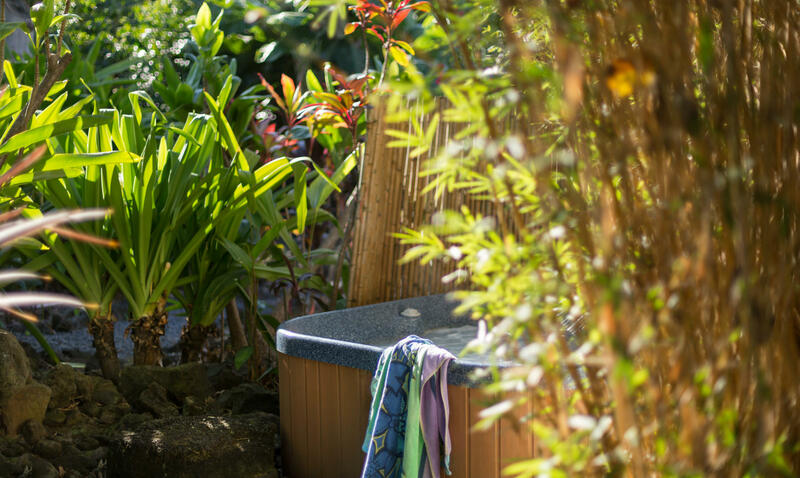 Also enjoy a one hour couples massage, and more!